There’s nothing quite as impressive as wintertime in Yosemite. The towering snow-capped peaks and frozen waterfalls suspended in time are a truly incredible sight to behold. Whether you opt to snowshoe through Sequoia groves, ice skate under Half-Dome, or ski the winding slopes of Badger Pass, there are so many fun activities to add to your Yosemite winter itinerary. If you are planning a trip to the Sierra Nevadas, you’ll definitely want to spend time exploring the sparkling glacial landscape. Check out some of the most epic Yosemite winter tours around and start making plans to visit! Snowboarding, sledding, and ice skating are just a few activities you can enjoy in the Sierra Nevada mountains this winter. For a full list of events and things to do in Yosemite National Park, be sure to download our free Vacation Guide. If your family has never gone hiking together, we recommend signing up for a private Yosemite winter tour. It's the perfect way to get in some much-needed bonding time! When you customize a private Yosemite winter tour, you can do just that. A local guide will pick you up directly from our hotel and take you on a personalized tour of your choice. You can explore Yosemite Valley, snowshoe along the Merced River, or hike through a grove of giant Sequoias and see some of the largest trees on the planet. No matter which direction you wander, there’s no shortage of beautiful views. Put on your hiking boots and don’t forget to bring a camera when you take a Yosemite two-day winter tour. This scenic tour is perfect for guests who want a quick weekend getaway from San Francisco. It includes stops at key points of interest like El Capitan, Half Dome, Yosemite Falls, and Inspiration Point. There’s even an opportunity to go off the beaten path and do a little bit of exploring of your own! If hiking is not your thing, don’t fret! A bus tour of Yosemite is a fantastic way to enjoy panoramic views of the park from the comfort of a heated motor coach. One of our favorites is the Valley Floor Tour, a two-hour adventure that gives guests an opportunity to see wildlife, flora, and fauna throughout the park. You’ll stop by all the main highlights and learn about the indigenous people and original settlers who occupied the land centuries ago. Are you planning to visit Yosemite during the most magical time of year? If so, you’ll want to have the very best accommodations! Hotel Charlotte in Groveland, California offers top-notch service and an inviting ambiance that is sure to make you feel right at home. 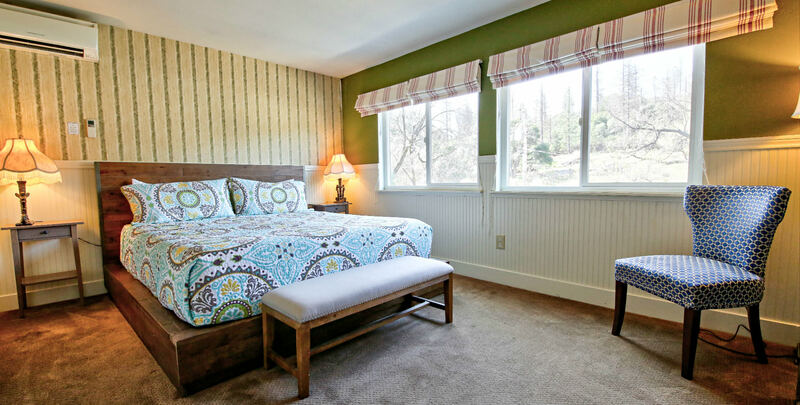 Our historic boutique hotel is located 30 minutes from Yosemite and is convenient to many Groveland area attractions. Start off each morning with a complimentary breakfast and serene views. Then, venture over to Yosemite and lose yourself in the natural beauty of the stunning, snow-covered mountainside. Don’t wait another second to start planning your ultimate winter getaway! Check our current availability and book your stay today.